Sean B. McKeown, D.D.S., M.S. 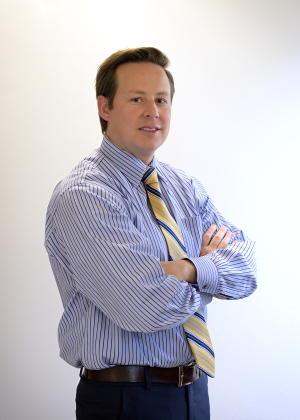 Dr. Sean McKeown was born and raised in Salt Lake City. He completed his undergraduate training at the University of Utah and graduated from dental school at the University of the Pacific Arthur A. Dugoni School of Dentistry in San Francisco in 2007. After receiving his DDS, Dr. McKeown moved to Portland, Oregon and completed a general practice residency at the Portland Veterans Affairs Medical Center where he practiced surgical and restorative dentistry, and gained valuable experience in the treatment of medically compromised patients. It was also during this time that he developed an interest in continuing his training in periodontics. He stayed in Portland to complete his specialty training, earning a Certificate of Advanced Education in Periodontics and Implantology at Oregon Health and Science University School of Dentistry. In addition to the treatment of periodontal disease, his residency program was heavily focused on oral implantology, periodontal plastic surgery procedures, and regenerative periodontal therapies. Periodontology is a field that is constantly developing through research and technological innovations. Dr. McKeown enjoys staying on the cutting edge of therapy through a commitment to continual professional education. By incorporating the newest advances to proven therapies, Dr. McKeown is able to provide optimal treatment results to his patients. Having returned to his home town of Salt Lake, he looks forward to improving his patient’s oral health there for many years. In his free time, Dr. McKeown enjoys traveling, and spending time outdoors during warm weather and hibernating in the winter. His greatest joy is spending time with his wife and two sons.